Another month has gone by. I will try to have everything updated in my spare time this month. Ailee (10006826) - 19 Copyrighted Songs. Suhyun (10018759) - 4 Copyrighted Songs. Chorong (10003109) - 14 Copyrighted Songs. JinJin (10013514) - 36 Copyrighted Songs. Rocky (10013512) - 35 Copyrighted Songs. Eunwoo (10014154) - 5 Copyrighted Songs. MJ (10014151) - 5 Copyrighted Songs. Moon Bin (10014152) - 4 Copyrighted Songs. Sanha (10014153) - 4 Copyrighted Songs. Hongjoong (10020014) - 12 Copyrighted Songs. Mingi (10020016) - 12 Copyrighted Songs. Jongho (10020239) - 2 Copyrighted Songs. San (10020019) - 2 Copyrighted Songs. Seonghwa ([/b]10020020[/b]) - 2 Copyrighted Songs. Wooyoung (10020088) - 2 Copyrighted Songs. Yeosang (10020021) - 2 Copyrighted Songs. Yunho (10020018) - 2 Copyrighted Songs. Baek A Yeon - 6 Copyrighted Songs. Yongguk (W0849100) - 113 Copyrighted Songs. 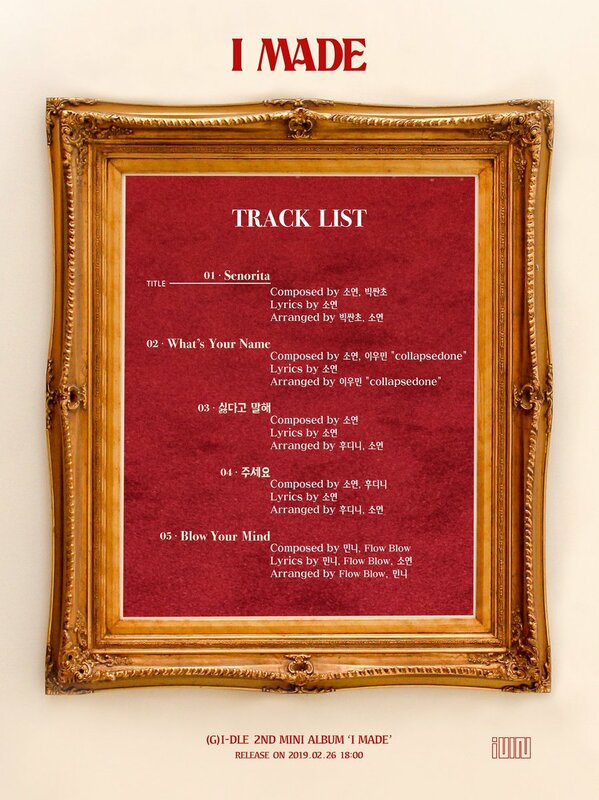 Zelo (10010923) - 21 Copyrighted Songs. Daehyun (10010926) - 5 Copyrighted Songs. Youngjae (10010928) - 3 Copyrighted Songs. Zico (10000005) - 123 Copyrighted Songs. Park Kyung (10000004) - 53 Copyrighted Songs. P.O (10002204) - 19 Copyrighted Songs. BoA (W0438400) - 59 Copyrighted Songs. Jeongmin (10008549) - 8 Copyrighted Songs. Daehwi (10015743) - 7 Copyrighted Songs. Donghyun (10015742) - 7 Copyrighted Songs. Woojin (10015741) - 4 Copyrighted Songs. Miryo (W0576100) - 94 Copyrighted Songs. Ilhoon (10003014) - 99 Copyrighted Songs. Minhyuk (10003013) - 86 Copyrighted Songs. Peniel (10005806) - 45 Copyrighted Songs. Hyunsik (10005805) - 37 Copyrighted Songs. Changsub (10006682) - 11 Copyrighted Songs. BTS | RM - mono. RM (10003681) - 123 Copyrighted Songs. Suga (10005239) - 78 Copyrighted Songs. V (10005240) - 6 Copyrighted Songs. Jimin (10005241) - 4 Copyrighted Songs. Baro (10001318) - 62 Copyrighted Songs. Jinyoung (10001319) - 54 Copyrighted Songs. Thank you so much for keeping this list up-to-date. Yeeun (10014360) - 19 Copyrighted Songs. Elkie (10020265) - 1 Copyrighted Song. Crush (10003254) - 106 Copyrighted Songs. Young K (10010197) - 66 Copyrighted Songs. Wonpil (10010555) - 56 Copyrighted Songs. Jae (10010558) - 47 Copyrighted Songs. Sungjin (10010559) - 45 Copyrighted Songs. Dowoon (10010557) - 15 Copyrighted Songs. DEAN (10006787) - 60 Copyrighted Songs. Eric Nam (10007325) - 26 Copyrighted Songs. Say (10003631) - 34 Copyrighted Songs. LE (10002393) - 59 Copyrighted Songs. Jeonghwa (10016499) - 2 Copyrighted Songs. Lay (10008046) - 44 Copyrighted Songs. Chanyeol (10010334) - 14 Copyrighted Songs. Yezi (10010790) - 24 Copyrighted Songs. Seoyeon - 3 Copyrighted Songs. Hongki (10003772) - 57 Copyrighted Songs. Jonghoon (10000335) - 28 Copyrighted Songs. Luna (10012689) - 7 Copyrighted Songs. Is Jus2 information available yet? I know that list was out for songs submitted to KBS but, that's it. Only 3 songs so far -- Focus On Me, Love Talk, Senses. But howaboutno is good about updating most people who are already in the OPs, so nowadays I only tend to post new artists. Soyeon (10012941) - 24 Copyrighted Songs. Minnie - 1 Copyrighted Song. Sooyoung (10002976) - 6 Copyrighted Songs. Hyoyeon (10018497) - 4 Copyrighted Songs. JB (10007952) - 40 Copyrighted Songs. Jackson (10010096) - 30 Copyrighted Songs. Bam Bam (10017546) - 20 Copyrighted Songs. Mark (10010921) - 18 Copyrighted Songs. Yugyeom (10012294) - 17 Copyrighted Songs. Youngjae (10012292) - 11 Copyrighted Songs. GRAY (10000778) - 173 Copyrighted Songs. G.Soul (10000594) - 40 Copyrighted Songs. Sejeong (10019916) - 1 Copyrighted Song. Junhyung (W1041800) - 156 Copyrighted Songs. Kikwang (W1042000) - 20 Copyrighted Songs. Yoseob (W1041900) - 18 Copyrighted Songs. Dongwoon (W1042100) - 14 Copyrighted Songs. Sunggu (10008247) - 2 Copyrighted Songs. Yijeong (10008007) - 23 Copyrighted Songs. Hwang Chi Yeul (10009380) - 18 Copyrighted Songs. Bobby (10006025) - 60 Copyrighted Songs. B.I (10006031) - 51 Copyrighted Songs. Ungjae (10011879) - 14 Copyrighted Songs. Jian (10011869) - 12 Copyrighted Songs. Taeho (10011881) - 4 Copyrighted Songs. Dongwoo (10002690) - 45 Copyrighted Songs. IU (10000992) - 45 Copyrighted Songs. Jay Park (10000556) - 188 Copyrighted Songs. Sanggyun (10006013) - 45 Copyrighted Songs. Jeong Sewoon (10006984) - 9 Copyrighted Songs. Juniel (10003338) - 23 Copyrighted Songs. Yoochun (W0669700) - 26 Copyrighted Songs. BM (10013812) - 18 Copyrighted Songs. Heejun (10013773) - 4 Copyrighted Songs. Jihun - 1 Copyrighted Song. Soyeon (10017252) - 3 Copyrighted Songs. Lee Hi (10012260) - 11 Copyrighted Songs. Baby Soul (10002772) - 5 Copyrighted Songs. Sam (10004643) - 32 Copyrighted Songs. Moonbyul (10008776) - 48 Copyrighted Songs. Hwasa (10007594) - 21 Copyrighted Songs. Solar (10010168) - 21 Copyrighted Songs. Wheein (10012908) - 4 Copyrighted Songs. Thunder (10001045) - 25 Copyrighted Songs. Fei (10010266) - 3 Copyrighted Songs. Jooheon (10002839) - 97 Copyrighted Songs. I.M (10009195) - 69 Copyrighted Songs. Wonho (10010001) - 9 Copyrighted Songs. Hyungwon (10016156) - 2 Copyrighted Songs. Mark (10012921) - 41 Copyrighted Songs. Taeyong (10012932) - 30 Copyrighted Songs. Seunghyub (10010060) - 25 Copyrighted Songs. JR (10005724) - 32 Copyrighted Songs. Baekho (10011993) - 24 Copyrighted Songs. Aron (10016278) - 7 Copyrighted Songs. Minhyun (10011986) - 7 Copyrighted Songs. Ren (10015972) - 5 Copyrighted Songs. Mimi (10009862) - 15 Copyrighted Songs. Wyatt (10018418) - 6 Copyrighted Songs. MK (10021146) - 1 Copyrighted Song. MK - 1 Copyrighted Song. Wooseok (10012818) - 48 Copyrighted Songs. Hui (10012816) - 32 Copyrighted Songs. Yuto (10012821) - 28 Copyrighted Songs. Kino (10012820) - 22 Copyrighted Songs. Jinho (10012815) - 7 Copyrighted Songs. Yeo One (10012817) - 5 Copyrighted Songs. Hongseok (10012819) - 3 Copyrighted Songs. Shinwon (10019475) - 4 Copyrighted Songs. Yan An - 2 Copyrighted Songs. I'm sure everyone has heard of the recent news that blew up involving a few idols and their criminal acts. What is everyone's consensus on whether they should remain in the top 10 list or not? I know they have dropped out of their group and I'm assuming they will stop promoting as an idol once and for all. I'm going to be honest here. I feel disgusted everytime I had to update Yoochun's new songs and now we have more people to add to that list. I will probably keep their lists updated on the first page just because a part of me feels uneasy when everything is not in order but I really hope this only keeps to a minimum because they are not worthy of my time. 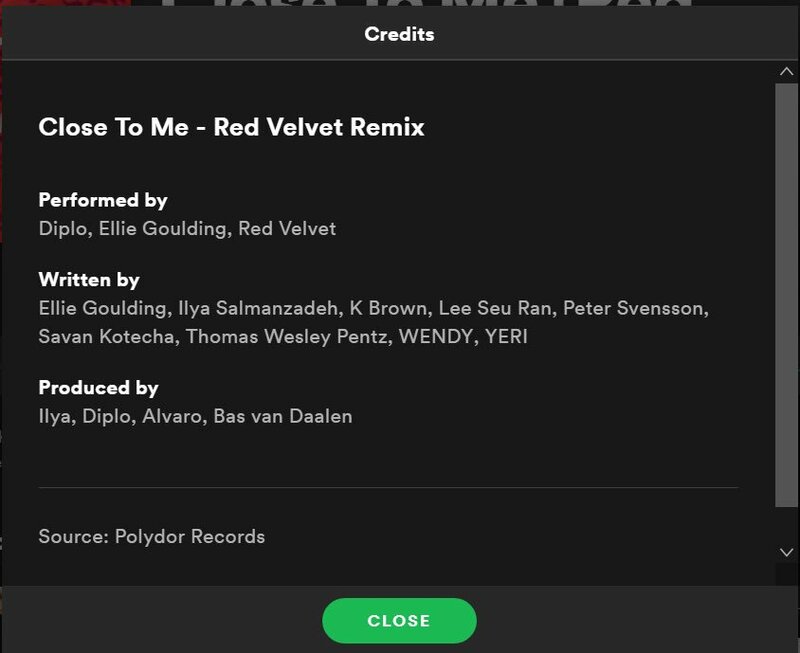 Also it's not registered on Komca (likely because it's a foreign song), but their recent collab, Close to Me was co-written by Wendy and Yeri. Yay Jooheon on top 10! He's the youngest debuted idol with most copyrights. No strong preference either way; the historical record is what it is. Woozi (10009926) - 75 Copyrighted Songs. Vernon (10009930) - 50 Copyrighted Songs. S.Coups (10009925) - 44 Copyrighted Songs. Mingyu (10009931) - 28 Copyrighted Songs. Wonwoo (10009927) - 25 Copyrighted Songs. Hoshi (10009929) - 20 Copyrighted Songs. Dino (10009928) - 17 Copyrighted Songs. Seungkwan (10012321) - 12 Copyrighted Songs. Zuho (10015435) - 12 Copyrighted Songs. Hwiyoung (10015434) - 9 Copyrighted Songs. Youngbin (10015433) - 7 Copyrighted Songs. Key (W1052000) - 12 Copyrighted Songs. Minho (W1052100) - 10 Copyrighted Songs. Onew (10000435) - 7 Copyrighted Songs. Sebin (10014887) - 6 Copyrighted Songs. Taewoong (10014886) - 6 Copyrighted Songs. Bohyung (10002719) - 7 Copyrighted Songs. Chan (10016933) - 41 Copyrighted Songs. Changbin (10016935) - 40 Copyrighted Songs. Han (10016936) - 39 Copyrighted Songs. Felix (10018184) - 6 Copyrighted Songs. Hyunjin (10017957) - 6 Copyrighted Songs. I.N (10018075) - 6 Copyrighted Songs. Woojin (10017986) - 6 Copyrighted Songs. Lee Know (10017959) - 5 Copyrighted Songs. Seungmin (10017981) - 5 Copyrighted Songs. Donghae (W0805800) - 32 Copyrighted Songs. Zhoumi (10007155) - 16 Copyrighted Songs. Sungmin (W0805600) - 6 Copyrighted Songs. Ryeowook (W0937900) - 4 Copyrighted Songs. C.A.P (10005007) - 24 Copyrighted Songs. Kidoh (10006010) - 39 Copyrighted Songs. Kinda (10011939) - 20 Copyrighted Songs. Gohn (10006287) - 3 Copyrighted Songs. Jisung (10016655) - 5 Copyrighted Songs. Changmin (W0843900) - 13 Copyrighted Songs. Jeongyeon (10020131) - 3 Copyrighted Songs.